GameReviewPad gives their thoughts on the Haimrik – Pre Launch Trailer. 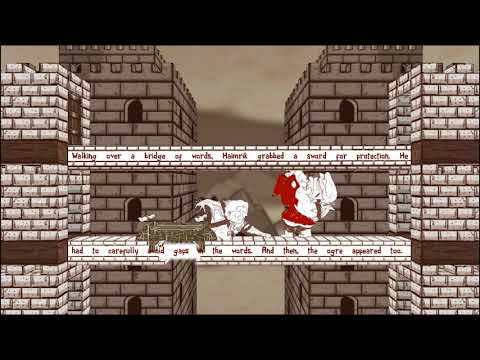 Haimrik is a game that if you don’t me the concept of the game without watching the trailer I would be totally confused. 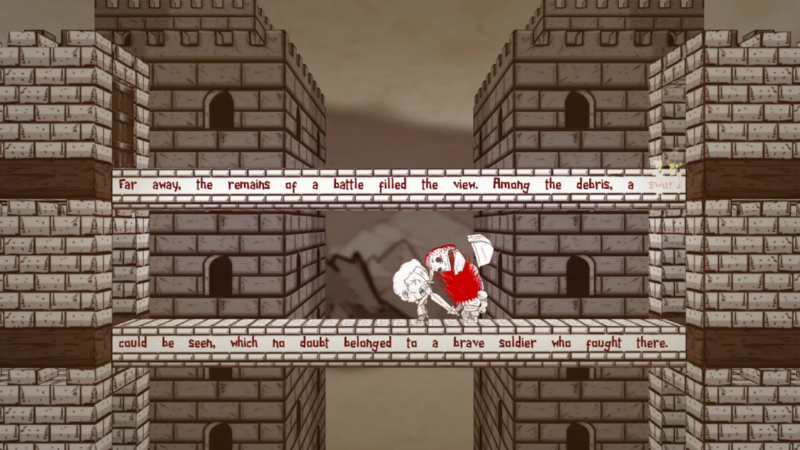 This trailer does a good job of showing the concept of using words to defeat enemies.The game has a monochromatic sepia shade that causes the game to stand out from many other games. What really gets me in the trailer are the deaths that have a very ‘South Park feel’ to them with the gorey appearance. It is very difficult to make an educated guess about whether Haimrik will be a successful game, because it will be dependent on the writing and use the words. That is where the game could trip up on the difficulty either being too easy or too difficult. Word games that are not Twitch games are not as popular, but if this game is successful in implementing the word combat system then I will have to give the game a ton of credit for using words as a gameplay mechanic. I’ve always felt a game using words as a form of combat could make an interesting concept but hard to execute, so I’m glad to see Haimrik making that attempt. I’m also interested to see how the words will be used to tell the story. I look forward to seeing the finished product.